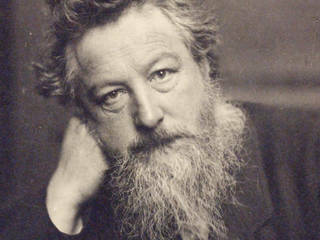 Throughout his life William Morris was a well-respected writer, producing widely read translations, novels, essays and poetry. Eager to design as well as to write texts, he experimented with calligraphy and page decoration, and later set up his own publishing company, the Kelmscott Press. It was the illuminated manuscripts he had seen in Canterbury Cathedral as a boy that ignited Morris's enthusiasm for historical texts. It was fuelled further by regular visits to the Bodleian Library when he was a student at Oxford, and after graduating he made his own attempts at decorating manuscripts. Morris was looking for an antidote to, as he saw it, the ugliness of the newly industrial world. He was also influenced by the Gothic Revival, a 19th-century fashion that looked back to medieval forms and patterns, and which had brought the details of Gothic ornament into the public realm with books such as Owen Jones and Noel Humphreys' Illuminated Books of the Middle Ages (1844). In addition, Morris's friendship with F.S. Ellis, a publisher and rare-book dealer, gave Morris direct access to historical works, including a set of 16th-century Italian writing-books (books showing examples of calligraphy). Between 1870 and 1875 Morris began to experiment with calligraphy, writing out and (in whole or part) decorating 21 manuscript books. Many of the texts were Morris's translations of 'The Sagas of Icelanders', a set of prose narratives based on events that happened in Iceland between the 9th and 11th centuries. Morris had been excited by visits to Iceland in 1871 and 1873, seeing in the country's people and homes a simple and dignified alternative to the society of industrial Britain. For his manuscript books, Morris developed a repertoire of five scripts, teaching himself how to form both roman and italic, as well as how to produce gilded letters. One of Morris's completed manuscripts was A Book of Verse (1870), a book made for Morris's close friend Georgiana Burne-Jones. In line with Morris's politics of fellowship, the book was a collaborative effort, with poems and calligraphy by Morris and figurative decoration by Edward Burne-Jones and two other artists. This and other books produced around the same time demonstrate Morris's interest in developing decoration appropriate to the content of the text, as well as an understanding of original scribal methods rather than a superficial 'copying' of particular historical styles. Morris's calligraphic experiments of the 1870s taught him a great deal about the shapes of letters as well as the decoration and illustration of text pages. He also learned how to use space effectively and how to control the size of margins to best enhance a text's content. Morris already had some practical knowledge of printing from his early 20s, having edited Oxford and Cambridge Magazine in 1856, a role that had brought him into contact with one of the era's leading printers, Charles Whittingham of the Chiswick Press. And in 1885 Morris also gained some managerial experience of printing when he became editor and publisher of Commonweal, the official journal of the Socialist League. It was not until the end of the 1880s – when he was in his mid-50s – that Morris began to think seriously about setting up a publishing company. 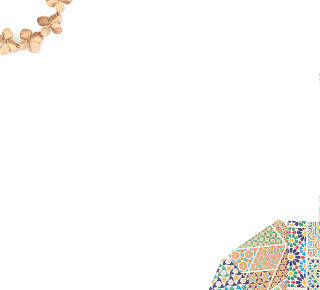 Before this point other commitments had left him without the time to focus on publishing as well as writing books, but there was also a practical issue holding him back. In line with his insistence on mastering all aspects of production, Morris wanted to design his own type – but he lacked both the skill and the patience to hand-cut the steel 'punches' that form the first stage of the traditional print process. The type problem was solved in 1888 when Morris realised he could apply a projection technology he had recently been introduced to by his friend Emery Walker, who had wide experience of the printing trade and who ran a photo-engraving business. It enabled Morris to create intricate type designs at a normal scale, and then reduce them down for accurate translation onto the steel punches by skilled craftsmen. This relatively simple solution for getting round Morris's limitations meant that, quite suddenly, he was able to realise his ideal of integrated design in the production of books, as he already had in a large range of other mediums. Kelmscott Press was set up in 1891, in a building a minute's walk from Morris's home in Hammersmith. Morris published 66 titles in the five years until his death in 1896. He wrote 23 of Kelmscott's books, with others consisting mainly of either medieval works in translation or contemporary poetry. 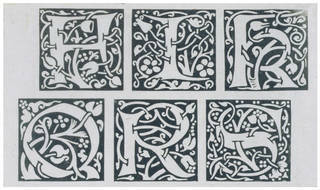 Morris carefully designed Kelmscott's bespoke typefaces (first 'Golden' and then 'Troy'), initial letters, borders, ornaments, frames for illustrations, title pages and printer's marks. He was conscious of his limitations as a figurative artist and therefore relied on other people to design illustrations. Major contributions came from his old friend Edward Burne-Jones, who collaborated with Morris on Kelmscott's most celebrated book: The Works of Geoffrey Chaucer (1896). Morris set out to print books hoping that some would, as he put it, "have a definite claim to beauty". He sought to recreate the rich visual texture he admired in books printed in the second half of the 15th century. Morris was extremely particular about everything in the typographic process. He knew the importance of spacing between both letters and lines in getting type to sit well on the page. 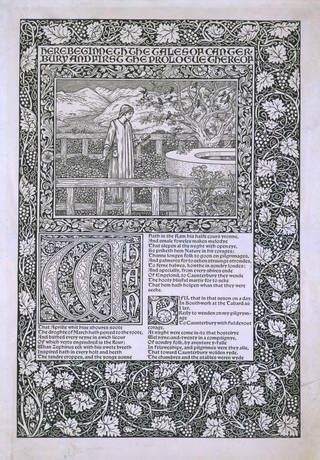 Although to modern eyes the Kelmscott type style looks very dense, Morris was committed to trying to balance his love of medieval style with readability. He also had very clear ideas about the use of margins and how illustrations should be integrated with the text, as well as about the right paper to print on. He bought Kelmscott's paper from a hand-paper-maker in Kent, selecting a pure linen stock that was tough and ideally suited to printing on a hand press (vellum was used for a small number of affluent customers). Morris was very focused on making Kelmscott Press commercially viable, especially as profit earned him the freedom to work in the way that he wanted to. Good marketing and good relationships with booksellers, collectors and librarians ensured impressive sales, with most editions subscribed in advance. Although the print-runs were small (the press's total output for 66 titles was only 22,068 copies), the clearly stated principles behind the books' design were influential on the work of later typographers and ensured that Kelmscott Press secured itself a significant place in the history of British book design.